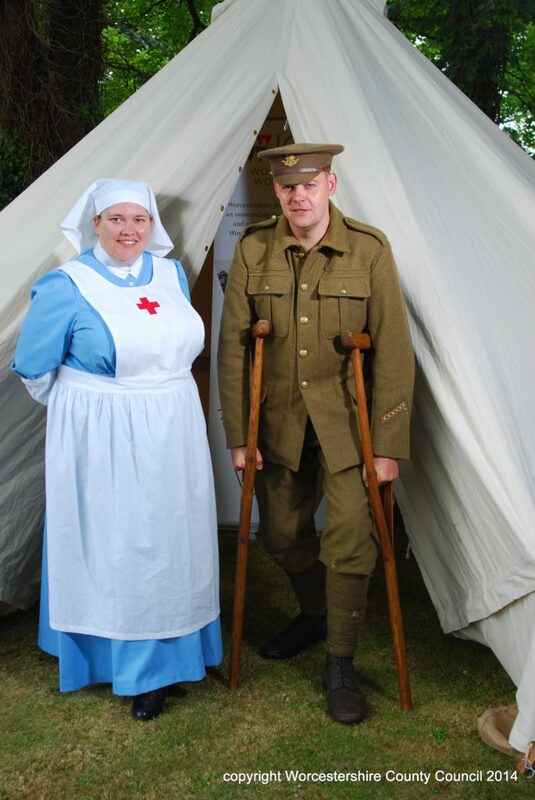 Since 2014 cultural and heritage organisations from across Worcestershire, including the Explore the Past team, have come together to commemorate the 100th anniversary of the First World War with an outstanding four-year programme of events and activities under the banner ‘Worcestershire World War One Hundred’. The programme, which received the largest Heritage Lottery Fund Grant outside of London for a project commemorating the First World War, honours the role Worcestershire played in World War One and tells the stories of Worcestershire people, their involvement with and personal legacy from the War. Activities range across the county, from Malvern to Bromsgrove and Hartlebury to the Vale of Evesham. 2018 sees some key public activities which will command national attention as we approach the end of the Centennial. As well as this we are focussing on the People’s Collection, an ambitious project to collect, display and preserve your family documents, photographs, diaries and other material from the Great War from across the whole county of Worcestershire. Find the full programme of events and information on how to get involved by visiting our website or following us on social media.